Becoming a parent changes the dynamics of the game. I went from a carefree to wired woman always in the lookout for the good of my kids. Sometimes it’s kind of exhausting, but what can I do? I’ve chosen to take this life course; hence, I need to take responsibility. Thought giving birth is the end of it all, but as I said, it changes the dynamics of the game. 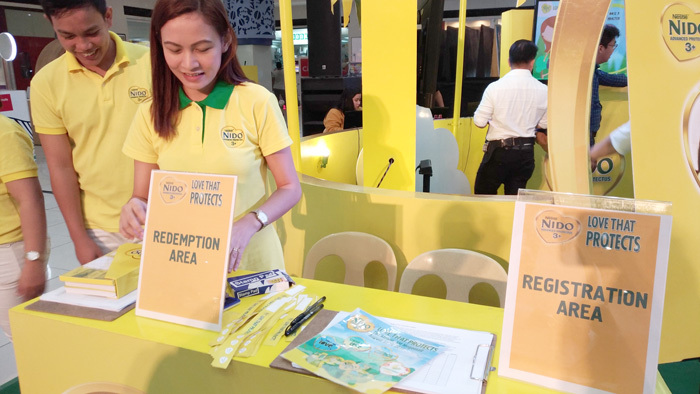 You need to take a 360* approach of everything especially when it involves the children. 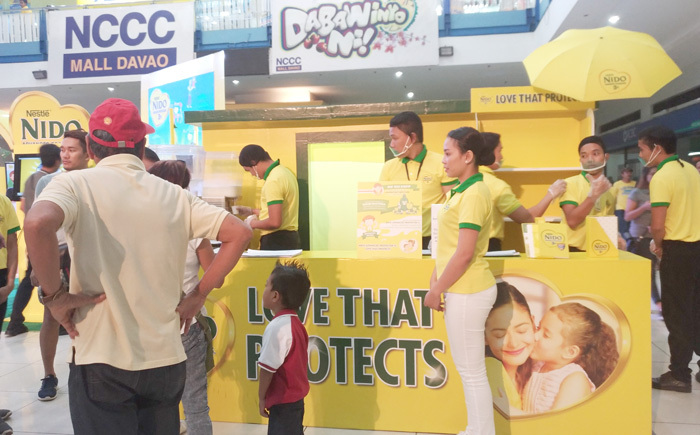 We’re just glad we have institutions now that support efforts of parents to raise healthy and well-protected kids. 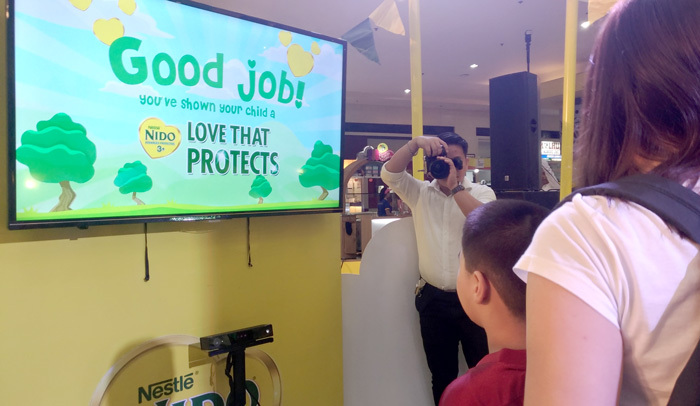 NIDO has been around for the longest time working as one of parent’s reliable partners when it comes to nurturing the kids of today. 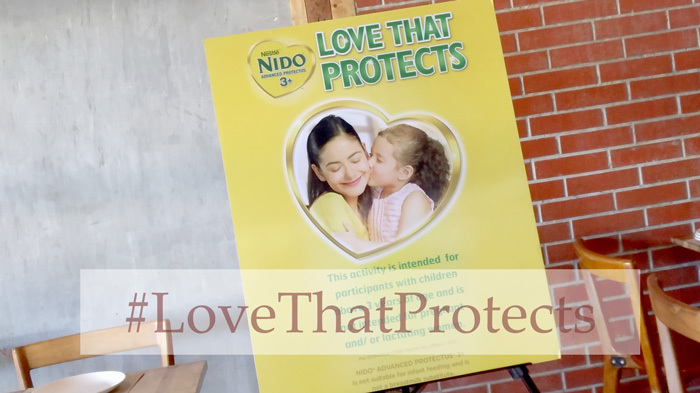 NIDO® ADVANCED PROTECTUS® 3+ has Lactobacillus PROTECTUS®, with the probiotic strain L. Rhamnosus, which not only helps protect children’s tummies but also helps support their defence against pathogens in the upper respiratory tract. 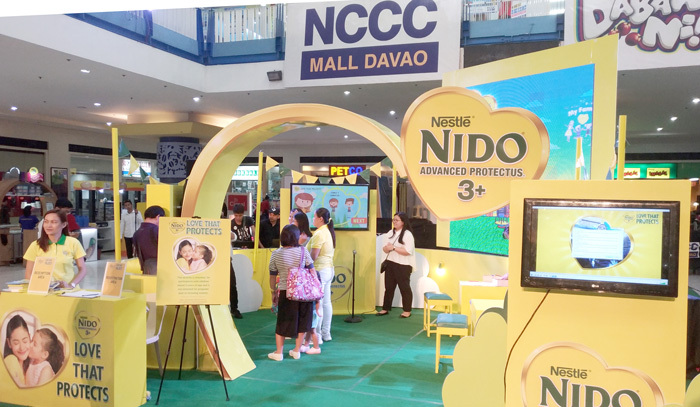 Just recently in Davao, #LoveThatProtects was put into action as NIDO® ADVANCED PROTECTUS® 3+ put up an activity booth at NCCC Mall in Matina to showcase fun and educational activities moms and kids can engage into. My writer friend, Maya and her son, Quintin tried out the Shout For Love activity.